QStar Network Migrator (QNM) is a policy-based tiered storage and data lifecycle manager. QNM software uses advanced policy management to monitor and automatically migrate, copy or move less frequently used files from primary storage to tiered storage or to a central archive or cloud. By migrating static or less frequently used files to lower cost storage such as Tape Libraries or Cloud, businesses can optimize the use of primary storage, reducing the need and costs associated with purchasing more. In addition, when data is managed properly and only the most recent or frequently changing files are included in the backup process, the backup window will be reduced. 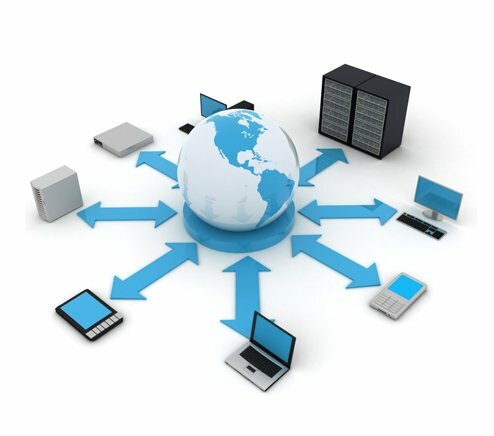 QStar Network Migrator software can be easily installed on a Windows or Linux server. Agents are available for each server managing data, whether Windows, UNIX, Linux or Mac. QNM also supports a variety of API sets to integrate with “closed” file systems such as NetApp ONTAP*, Hitachi Vantara HNAS (formerly BlueArc), and solutions based on GPFS, Lustre and HyperFS (BWStor) performance file systems. A combination of file and file system attributes can be used to control the movement of data including: file creation, access or modification date, file extensions, regular expression searches, and high-water marks. Once defined, data is migrated to the designated storage device and when archive retention dates have been met, files are released for managed or automatic deletion at the end of their lifecycle. This intelligent management of data helps organizations meet internal policies for data governance and regulatory requirements. Regardless of the physical location of the files, they can remain fully accessible across the network from their original local file systems. Retrieving the file is as simple as it was before migration. QStar Network Migrator software can be used on its own or in conjunction with other QStar products, such as QStar Archive Storage Manager, to store and manage archived data using Tape Libraries, WORM, Optical, Object Storage or Public, Private and Hybrid Cloud. 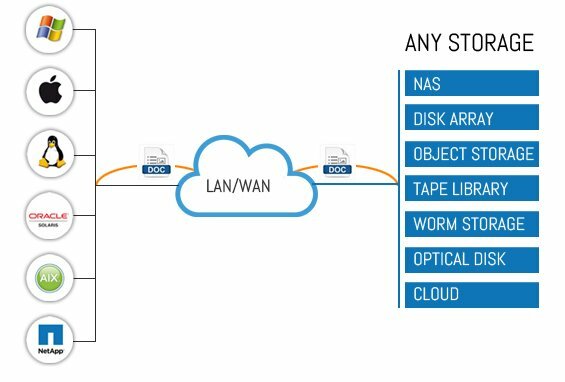 QStar Storage Reporter lets you perform detailed analysis of data composition in the existing storage infrastructure, provides key statistics on existing storage infrastructures without interrupting business operations. Storage Reporter will take just a few hours to perform an assessment of storage rather than the weeks normally required to carry out such a task. Storage Reporter is simple to install and run. Results of the scan are stored in a database, allowing many reports, like the ones below, to be generated without the need to rescan each time. QStar Storage Reporter means that storage infrastructure optimization is really just a click away. Key report formats are conveniently pre-configured and results can be displayed graphically or non-graphically (table format). Custom reports can also be created, as needed. Any report can be exported as a txt or xml file, by selecting the Export button. Once exported, the file can be opened using MS Excel. Running Simulated Reports is a way of determining how the storage would look after a migration has taken place in order to create a simulated report a policy must be created.